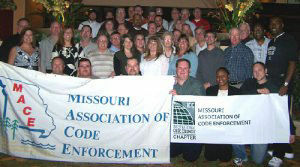 "Working hard today for a better tomorrow"
The Missouri Association of Code Enforcement is a dedicated organization devoted to providing exceptional quality and cutting-edge training for code enforcement professionals. We promote the safety, interests and status of code enforcement personnel throughout the state. MACE believes in exhibiting a professional attitude at all times, without any bias and with a commitment to our organization, communities and our profession. MACE believes in responsible management of our resources with openness and responsiveness to all the members. MACE believes that ethical practices must include honesty, integrity and respect. The continuing practice of these qualities instills confidence and trust in our organization. MACE believes that utilizing the diversity within our organization and our communities will assist us in understanding cultures and challenges we all face in our daily jobs and assist us in learning to work together in harmony. Reasons to become a member! Code Enforcement is more challenging today than ever before. 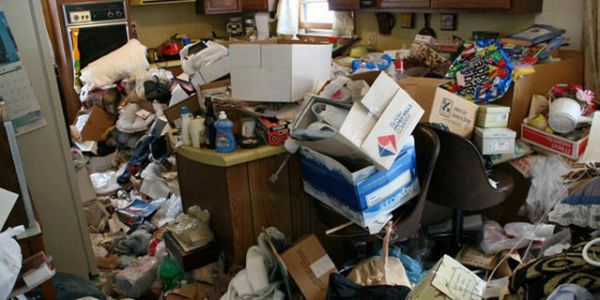 For the professionals who face these challenges daily, the Missouri Association of Code Enforcement (MACE) provides tools to help meet those challenges. MACE was established in June 1992 for the purpose of promoting professionalism and to study and advance the science and practice of Code Enforcement through training leading to certification and through the exchange of ideas, information and technology. This is accomplished through meetings, conferences, training sessions, newsletters and this website. MACE members are dedicated professionals who share the common goals of preventing neighborhood deterioration, promoting sanitation, enhancing safety and preserving property values through knowledge and application of housing, zoning and nuisance codes and standards. Our activities are designed to serve individuals who enforce property maintenance, zoning and nuisance codes and ordinances. Building code inspectors, police officers and support staff who also enforce or are involved in the enforcement of property maintentance and zoning codes are also invited and encouraged to join MACE in addition to any other professional organizations in which they hold membership. Professional certification is a true mark of achievement. The certification programs offered by ICC and by AACE provide nationally recognized credentials by which individuals can demonstrate their knowledge of various regulatory codes, standards and practices pertaining to housing and zoning code enforcement and code administration. Certification verifies to governmental jurisdictions that the technical knowledge underlying the practice of housing and zoning code enforcement and/or administration has been mastered at a competent level as determined by national experts. The training seminars offered by MACE also provide continuing education units (CEU's), which are required for the renewal of ICC and/or AACE certifications. The education and training programs offered by MACE bring the most current, accurate and pertinent information to our members. Join MACE now and you will have the opportunity to establish contacts with fellow Code Enforcement professionals from across the state and even from across the country through our national affiliations. These contacts will provide additional networking and informational sources, enabling you to share ideas, information and solutions with fellow Code Enforcement personnel.